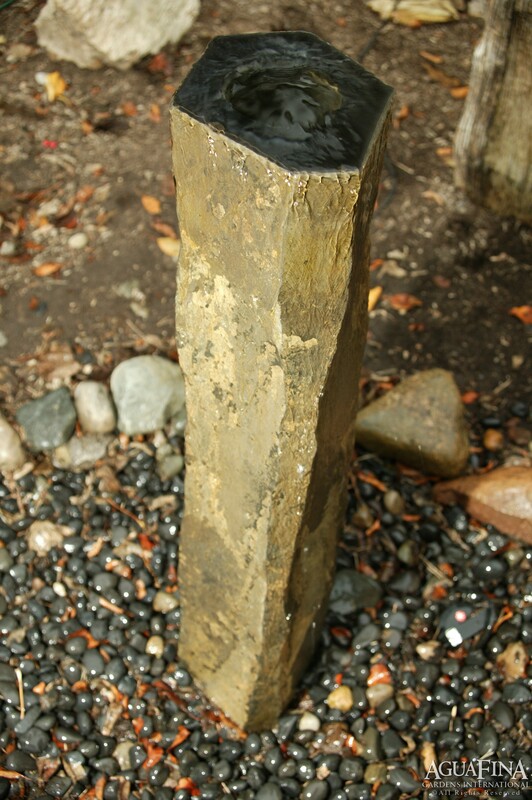 Three separate basalt stones, set in a hexagonal granite basin. 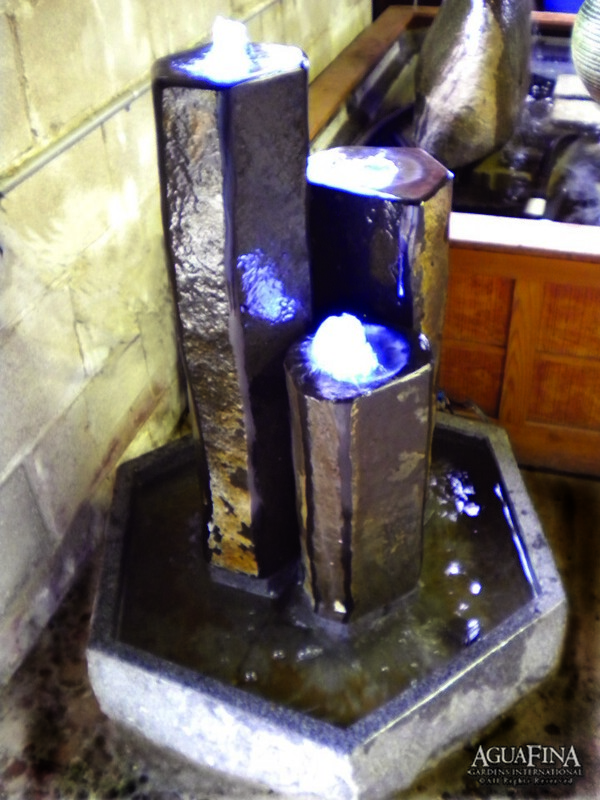 Each basalt column has been slightly polished for effect. 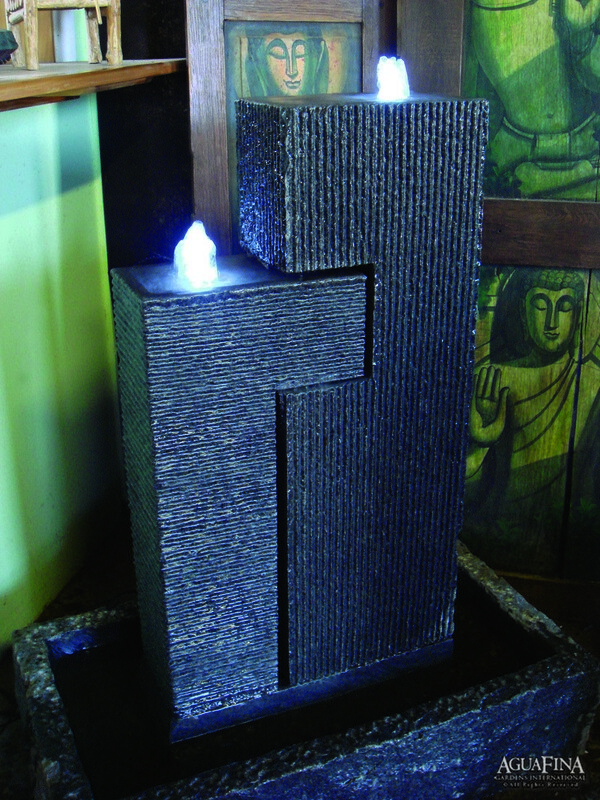 LED lights accents the water as it bubbles from each stone.